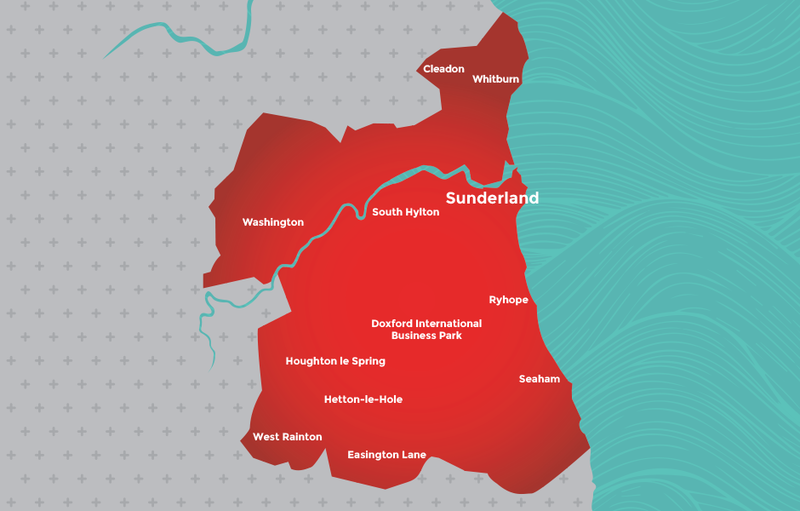 Sun FM has been broadcasting to Sunderland and the surrounding area for over 20 years. It has entrenched itself into the daily lives of the population, so much so that it is the most popular independent radio station in the region. 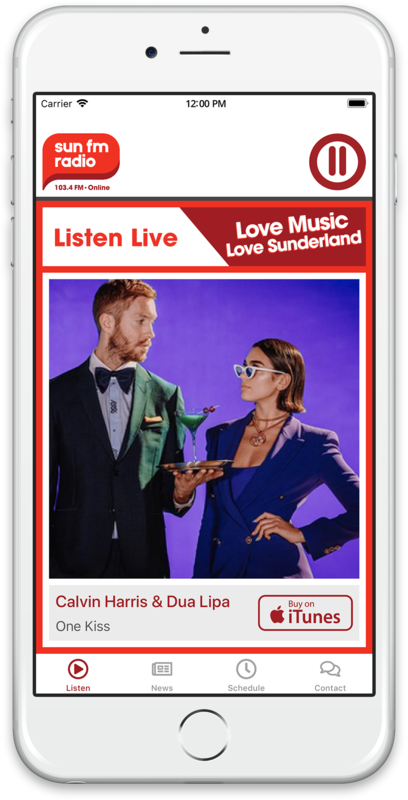 Proud to play the best variety of music from the last four decades, with the most up to date news, showbiz, traffic information and sport for the local community, Sun FM is also proud to be a partner with Sunderland AFC. Recent star guests include Ed Sheeran, Sam Smith, Jess Glynne, George Ezra and Take That. ‘Simon & Lauren in the Morning’ is the stations flagship show, on air every morning Monday to Saturday. It’s the most listened to Breakfast show in the area. In October 2018 the show was broadcast from Dubai, where they also gave away a family holiday. 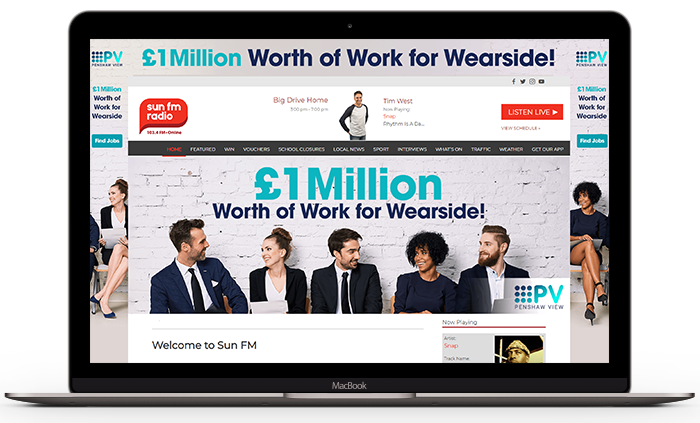 Sun FM Radio offers local advertisers geographically targeted solutions with options available to transmit commercials across Sunderland on 103.4FM and DAB. The home of great music and up to date news for Sunderland. So whether you are looking for breaking news stories, traffic updates, weather reports or simply looking for the hottest Gigs & Events, we will keep you updated all day, every day.